Guaranteeing your product will last for a lifetime is a bold business strategy, especially when your customers are rough-and-tumble outdoor enthusiasts. Yet, many outdoor outfitters pride themselves not only on the durability and quality craftsmanship of their products, they also stand by their promise to repair or replace broken or defective gear. That kind of assurance provides peace of mind for a customer base that tends to relax by dangling off cliffs, schussing down mountains or running class five rapids. This got us wondering about lifetime warranties. Are they a good business strategy or an expensive promise? And what can small business owners take away from studying the warranties of these outfitters? While exploring the product guarantees of these ten outdoor outfitters, we learned that some retailers do have a true lifetime guarantee, but others come loaded with conditions in the fine print -- so, if a guarantee is a factor in your purchase, make sure you know what the brand is promising (or not promising) to avoid disappointment later. Overall, and no matter the company’s product guarantee, simply advertising a warranty is a great marketing tool to show consumers that you love your product and are willing to do what it takes so they will love your product, too. Guarantee: Darn Tough’s “Unconditional Lifetime Guarantee” covers wear and overall satisfaction with the product. The factory will ship a replacement pair once you send back the worn pair and a submit a warranty form online. That’s pretty darn awesome! Guarantee: Osprey calls their warranty the “All Mighty Guarantee: Any Product, Any Reason, Any Era”. They will repair a damaged product or replace it outright if it can’t be fixed -- regardless of how old the product is or whether or not it’s still in the hands of the original owner. Guarantee: Black Diamond says it will 100% “Repair, replace or refund” any of their apparel products, no questions asked. Their equipment carries a one-year repair or replace warranty for the original owner (headlamps warranted for three years). Guarantee: Jansport bags and packs carry a Lifetime Warranty. If the company cannot repair the bag, they will replace it. The warranty doesn’t apply to their apparel. Guarantee: OR calls their warranty the “Infinite Guarantee,” and it covers product defects for the lifetime of a product. They determine whether to replace or issue a credit on a case-by-case basis. Guarantee: The “Got Your Bak” lifetime guarantee covers repairing or replacing products with manufacturing defects during the “life of the product” -- a span of time determined by the manufacturer. It does not cover wear and tear. Guarantee: The “Guaranteed to Keep You Dry” promise extends to any brand of product using Gore-Tex fabrics if the user is not satisfied with its breathability, waterproof- or windproof- capabilities. Gore-Tex will repair, replace or refund a product if it is not yet determined to be “beyond its useful life” by the company. Guarantee: Not a lifetime guarantee, but a pretty good one nonetheless. MSR’s Limited Three-Year Warranty will replace or repair defects in their products. They also have a large repair shop in Seattle where you can bring in or send your gear to be fixed at reasonable prices. Guarantee: Buck’s “Forever Warranty” will repair or replace a defective product. Damaged products can be repaired for a fee. If your item is unable to be repaired, you’ll get a one-time offer to purchase a new knife for 50% off MSRP. Guarantee: The company’s famous return anything, anytime policy was recently downgraded, but it’s still pretty good. The new return policy states that it will refund the cost of any unsatisfactory product within one year with proof of purchase; after one year a refund may be issued due to manufacturing defects. Products purchased before February 9, 2018 are not subject to the one-year limit. What can you, the small business owner, take away from this? Many of the above guarantees are branded (e.g. “All Mighty Guarantee”) and displayed prominently throughout a company’s website. Advertising confidence in your product and backing it with some sort of warranty shows customers you are not only dedicated to creating quality goods, you also care deeply about customer satisfaction. Another bonus? A generous return/replace/refund guarantee often justifies a higher price tag because you’re not only selling a product, you’re also selling quality assurance. 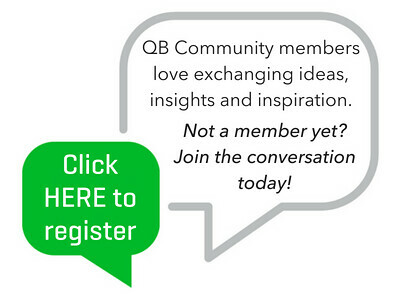 QB Community members, what are your thoughts about guarantees and warranties? Do you offer one to your customers? Are you more likely to buy a product that comes with a guarantee? I think a true "lifetime guarantee" is a fantastic way to put your money where your mouth is in terms of brand promise. If you say your products are designed to last (albeit for a set amount of time of typical usage) and they give out prematurely, then you're either misrepresenting your product or it is defective. If I remember correctly REI has a pretty amazing return policy as well!